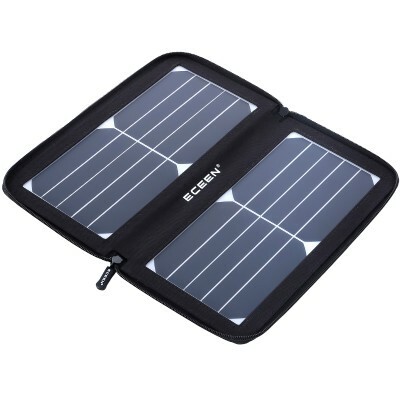 ECEEN 10watts Zip Pack Solar Panels Charger (ECE-647black),Solar panel, 10Watts solar panel charger, solar battery charger, solar battery pack, portable solar charger, power battery pack, solar cell phone charger, mobile phone charger, battery power packs,ECEEN Electronic limited. 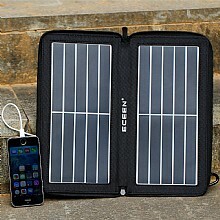 5.0 out of 5 starsThis is an Amazing Solar Panel Charger!!! 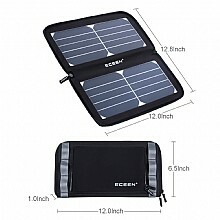 Color: Black If you are looking for a small inexpensive solar panel charger, then look no further, this is the one for you! 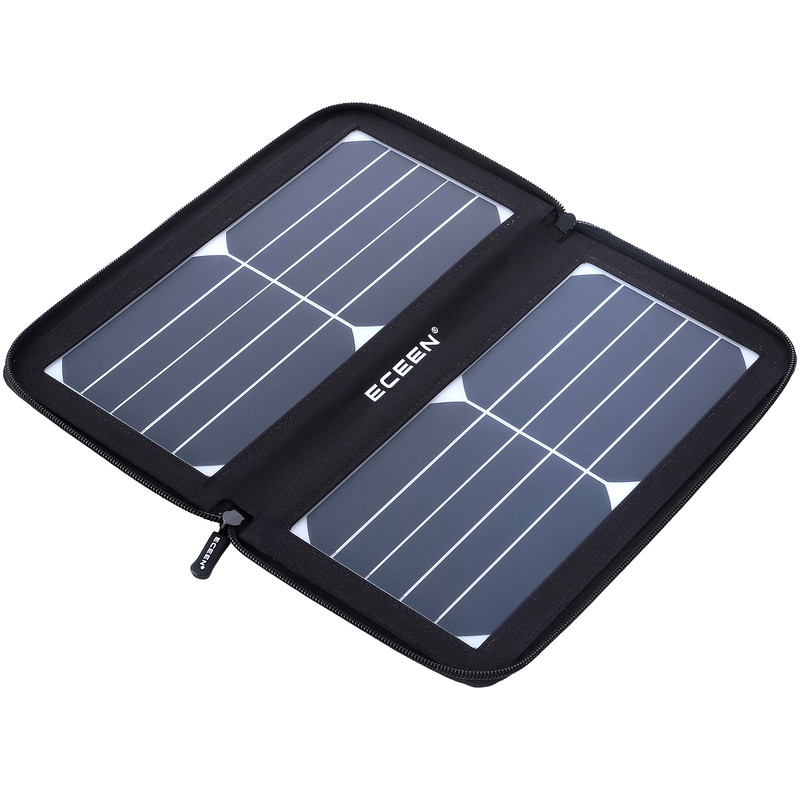 This Eceen 10watt solar charger is well made and very durable. I am new to solar energy, but who doesn't love the idea of Free energy!? 5.0 out of 5 starsToss in the bag...just in case. 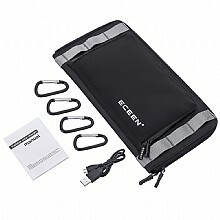 I have ordered products from ECEEN before and am ALWAYS very happy with the quality of product I receive from them. 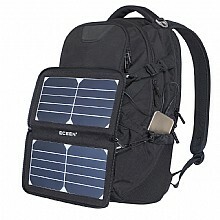 The solar panel is well built and does not feel too fragile. I love the fact that this panel has a zipper to keep everything closed when not in use. Everything folds up tight for transportation and stays closed with the zipper. There are included clips to help with placement of the panels during use. I have a different panel from ECEEN that has a little stand attached and I find that the stand works better than the clips. The clips work, but sometime you really have to be creative to get this panel pointed in the right direction. The stand works better. The unit has a little zipper compartment to hold the needed accessories. 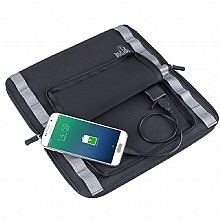 I typically keep my phone charger, hooks, and battery bank in the pocket and everything seems to fit just fine. 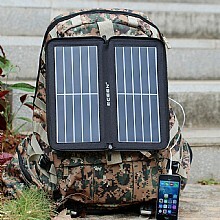 All in all, great panel to bring along camping, hunting, or backpacking. 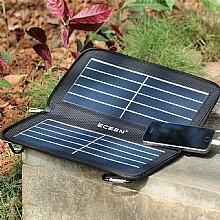 Small and thin enough to throw in the bag without taking up too much space or adding too much weight. Better safe than sorry.